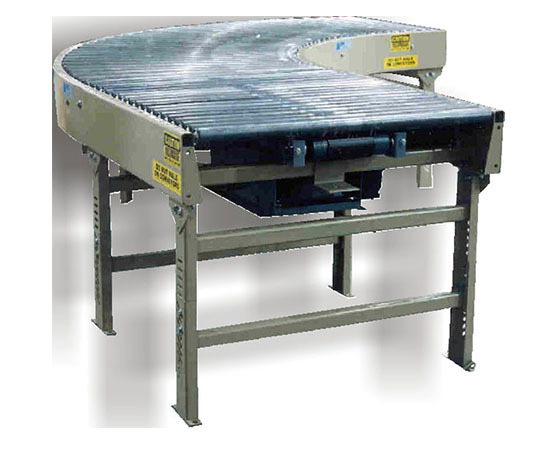 Systec's Performance Line Bundle Conveyor (PLBC) is engineered for small bundle handling that requires exact load positioning. All PLBC come with adjustable leg stands to set the working height for comfortable, ergonomic conditions. This also allows the conveyor to be set at the required height at the feed end of the conveyor. Height differences between the beginning and ending of the conveyor line can be adjusted throughout the length of the line. This is a very low maintenance conveyor and applies the most advanced safety designs and features. Designed using the same concept of accumulation as Systec's heavy duty floor conveyors. Each section of the conveyor can be pneumatically controlled to accumulate loads, as well as provide exact positioning and load separation. These control features are required with today's bundle conditioning and bundle breaking machinery. Unique drive package design and end rollers allow all rollers in the conveyor line to be driven.